Temperatures are quickly starting to drop, and icy winds are creeping in, which can only mean one thing; it’s time to treat yourself to a new winter wardrobe. Wrapping up to combat the cold doesn’t have to be frumpy jumpers and Nanna’s knitted scarfs. Autumn/winter fashion gets cooler every year (excuse the pun! ), as brands stock up on trendy new styles to help you stand out from the crowd. We’ve picked our 10 favourite winter wardrobe essentials that we think you’ll love, along with NHS and healthcare discounts, so you can pick up a bargain. Stripes are most definitely in fashion this season and with this cosy jumper from Joules you can keep warm and look stylish during these cold months. Use the code HSD15 at the checkout to get 15% off. 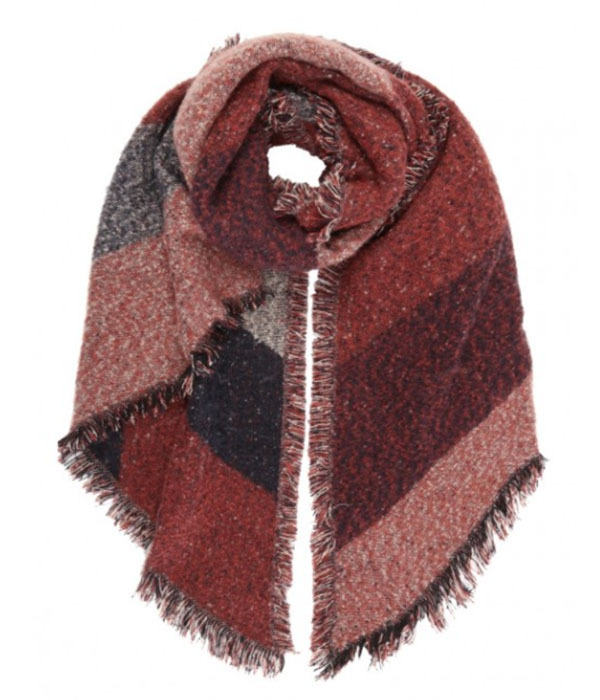 Wrap yourself up and keep warm with this oversized scarf from Peacocks. Its funky design adds a fashionable touch, while ensuring you’re protected from the cold! NHS and healthcare staff can get an exclusive 20% off with our discount code. 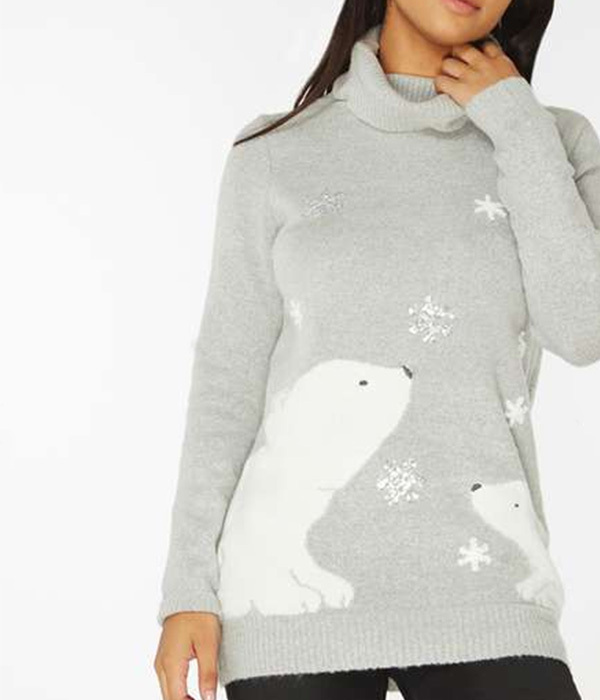 Get into the Christmas spirit with this cute polar bear jumper from Dorothy Perkins. With its stylish roll neck, it will keep you super-snug and scare the winter chills away. We all need a ‘big coat’ for winter to keep us warm. 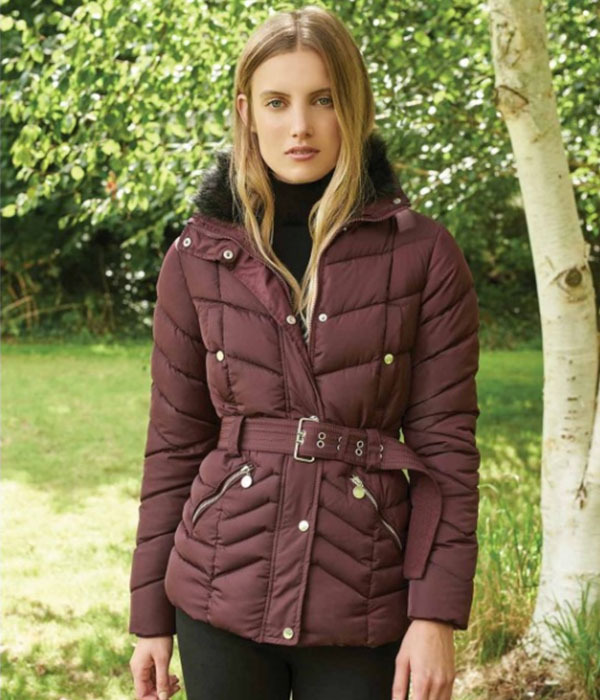 This burgundy padded number from Peacocks has a belted waist and faux fur trim to give you a stylish edge suitable for everyday wear. Get cosy with these faux fur slipper boots for those chilly nights in from New Look. These adorable slippers could be great for yourself or ideal as a present this festive season. New Look have a fantastic up to 60% off sale at the moment that you don’t want to miss out on. Add a touch of elegance to your style with these sleek black gloves with a leopard fur twist from Peacocks. Keep your hands snuggly and look super-chic during those winter walks. Pick these up at a bargain price and 20% off with our voucher code. Keep it casual and cosy with this cropped jumper from Peacocks. This knit is perfect for colder days out and its vibrant colour will certainly make you stand out. This item is already in the sale plus our members can get an exclusive 20% discount. Winter doesn’t mean we must wear boring colours. Liven up your winter wardrobe with this colourful purple, flared coat from Closet London. This coat has already been reduced in their fantastic 60% off sale, plus NHS and healthcare workers can get an extra 10% discount with the code: NHS10. 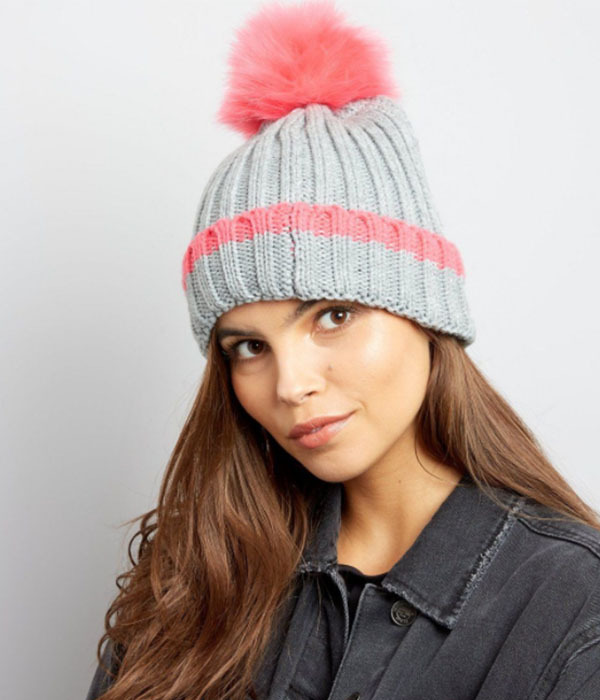 Keep your head warm with this cute knitted bobble hat from New Look. It looks the part and stops your ears from turning into icicles! Check out the New Look up to 60% off Sale now. Everyone needs an awesome pair of festive socks in their lives! 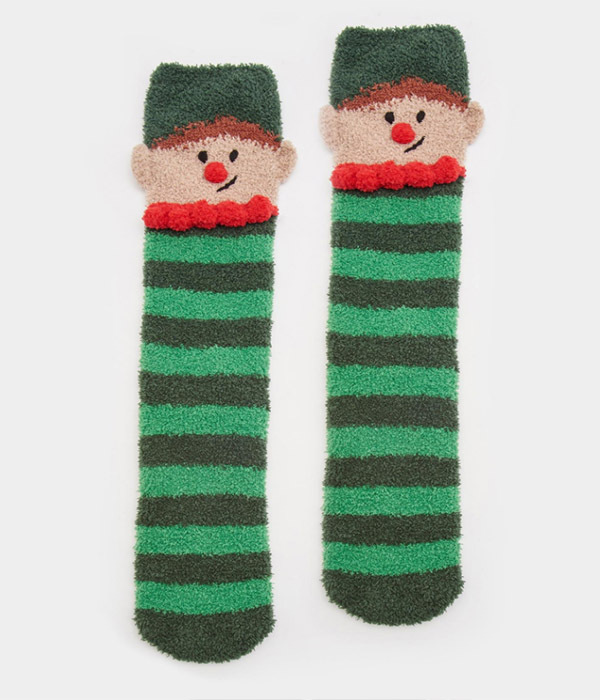 Get that festive feeling with these bright, fluffy, elf socks from Joules. You won’t want to take them off once you’ve tried them on. Don’t forget you can get 15% off with your exclusive voucher code: HSD15. Don’t forget it’s free to join and use our service. If you’re not already a member, you can sign up here! Is the New iPhone X Worth the Huge Price Tag? 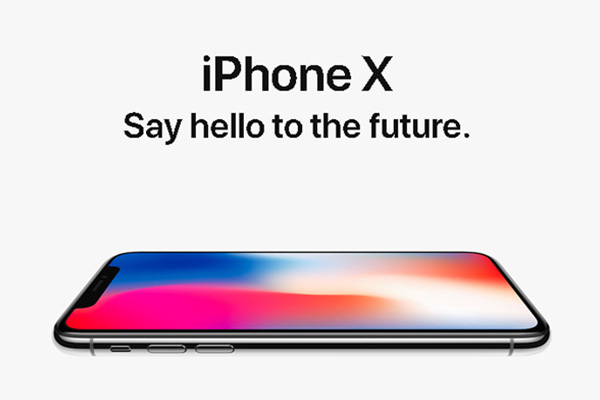 The iPhone X lands for pre-order in the UK on the 27th October and is Apple’s latest landmark release, launched to mark the 10th anniversary of the original iPhone. It certainly looks fantastic. It has a sleek ‘all-glass’ design and a 5.8-inch Super Retina display. It’s packed with loads of new features like wireless charging, an improved rear camera w ith dual optical image stabilisation, and innovative Face ID. As you can expect, it’s not cheap. It’s the most expensive smartphone Apple has ever produced with a starting price of £999. On a monthly contract you’re looking at around £72.99/month, plus £99.99 up front. How does iPhone X compare to iPhone 7/8? Obviously, the new features on the iPhone X are fantastic and a big leap forward from previous models. But, can you personally justify the jump in price for these additional features? 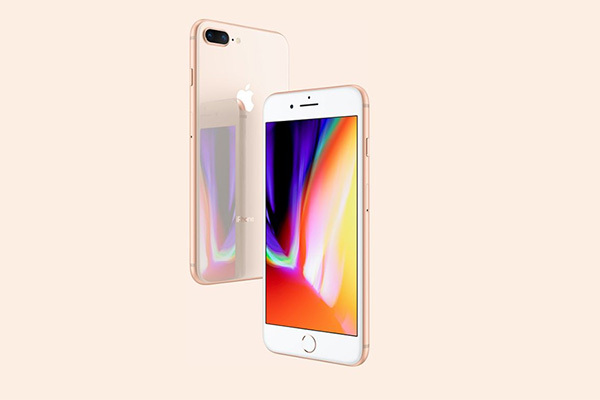 You can get the same deal on an iPhone 7 8GB data for £33/month or on an iPhone 8 8GB data for £42/month. The iPhone 7 and 8 are not that far behind the X in terms of tech. They still pack extremely powerful hardware, with great speed and overall performance. They don’t look too dissimilar either. Size-wise, there’s nothing really in it, however the X has an edge to edge screen and no Home Button. The new features on the X fantastic, without a doubt. If you have money-to-burn and you’re really into phone-tech, then go for it, you only live once. But, if you’ve got bills to pay and mouths to feed, then it’s probably the sensible idea to go for an iPhone 7 or 8 as you’re still getting one hell of a good phone at a much better price. There are some amazing iPhone deals available to Health Service Discounts members. Don’t forget, it’s free to join and free to use – sign up today! Autumn is here which means the holiday season is over, leaving us faced with shorter evenings, dark mornings and cold weather. It’s not all doom and gloom though! We’ve got the latest offers just for you, so make this month a little easier by bagging yourself a bargain. With Christmas just around the corner, our newest discounts will allow you to prepare with peace of mind, rather than worry about that dreaded end of the month bank statement. Check out our exclusive discounts for healthcare workers and grab yourself a fantastic deal this October. 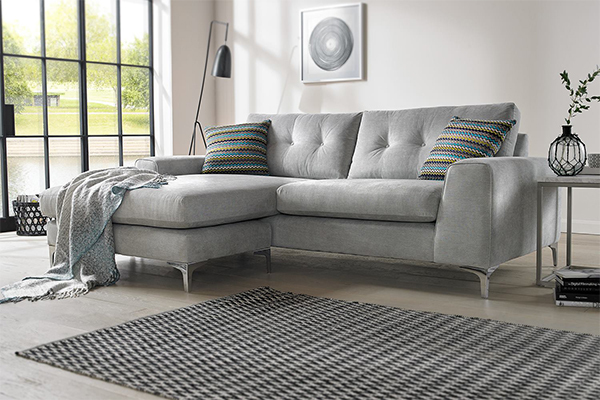 Been searching everywhere for a reasonably priced sofa but you can’t seem to find one? Well we have your answer… Get ready for those cosy nights in this month with a 5% discount off at Sofology. 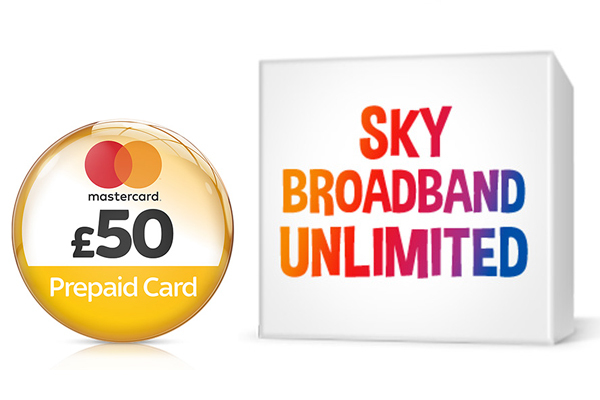 Join the best performing broadband provider and get Sky Broadband Unlimited for just £20 a month for 12 months (was £28.99) and receive a £50 prepaid Mastercard as an added extra! 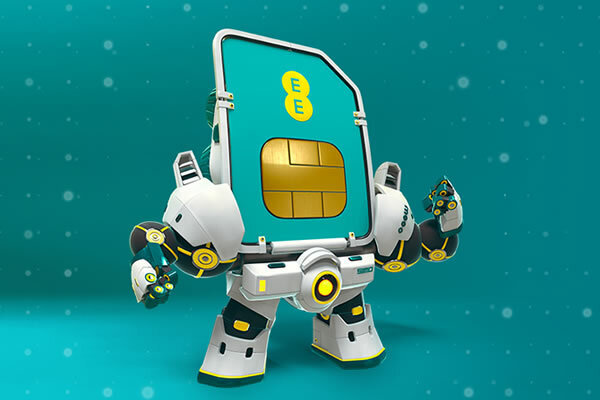 Stream movies, play online games and listen to music with download speeds up to 17Mb. 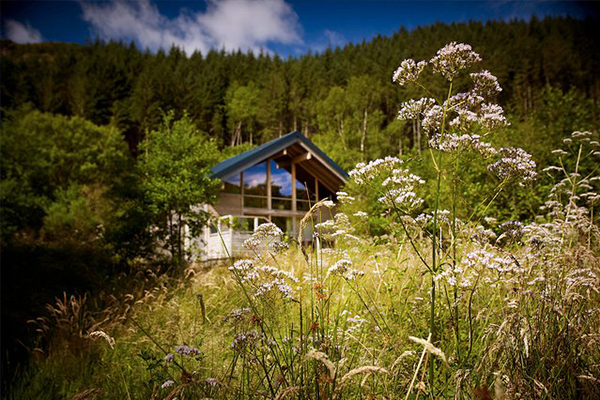 Escape from reality and take a short break in the UK’s most beautiful forests. Spend a few days in a luxurious cabin and make a deeper connection with nature! Forest Holidays are offering 10% discount with a complimentary free prosecco and chocolates on all breaks before 19th October. Thinking about those Christmas gifts already? Or perhaps you have a special occasion coming up, treat yourself or your loved ones with 10% off jewellery and watches at the UKs largest Jewellery store. 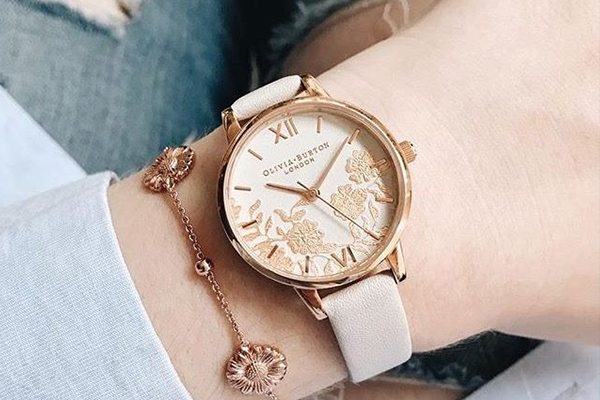 Save money on big brands such as Olivia Burton, Vivienne Westwood, Swarovski and many more. Don’t forget, its free to join and free to use our discounts. Sign up today and start saving! Peak performance in any area of our lives comes only from the right preparation. So often we focus on lifestyle elements such as nutrition and exercise to help us perform during the day, but we often neglect our body’s physical and mental need to rest and recover through sleep. Sleep experts This Works give their top tips for optimising your sleep to achieve maximum performance. The essential point is not how many hours of sleep you have during the night but the amount of sleep during 24 hours. We are used to having 7-8 hours continuous sleep, but at times when this isn’t possible, try to achieve one long phase of continuous sleep (this will cover the need for deep sleep) or around 4-5 hours. You can then complete your sleep needs with short naps during the day. The general consensus is to keep naps to no more than 20 minutes in order to avoid entering a state of deep sleep, which can mean you wake up feeling groggy and potentially worse than you did before. It sounds simple to restrict your evening technology usage, but it can be harder than we think– in 2016 Ofcom reported that in the UK we now spend more time using technology devices than we do asleep. 79% of us check our smartphones within one hour of turning our bedroom lights out and over a quarter within five minutes. Our sleep pattern is set by our built-in circadian rhythm or body clock, which adjusts to its environment through the external cue of regular exposure to light and darkness. Research has shown that this internal clock controls our mood, energy levels, hormones and skin health. Exposure to blue light emitted from our technology devices in the evening inhibits the release of the sleep-inducing hormone, melatonin. This can disturb our circadian rhythm by up to three hours. It’s not just the length of time we sleep that blue light impacts, exposure also significantly impacts our readiness for sleep by increasing alertness, making it harder for your mind to rest. Scientists at Boston’s Brigham and Women’s Hospital and Philadelphia’s Thomas Jefferson University found that overall alertness among people exposed to blue light at night was nearly as high as daytime levels of alertness. Hunger and satiety have a direct impact on alertness. For the best chance of falling asleep quickly, avoid late and heavy meals and keep any ingredients – such as spices – that may make you bloated or increase your body temperature to a minimum. At the end of a long day, a soak in a hot bath or hot shower is a tempting way to relax and wind down. However, if you have it too hot you risk raising your body temperature, which can cause problems when it comes to falling asleep. We recommend hot baths or showers are taken at least two hours before bed, so that you have time to cool down before hitting the sack. In your bedroom itself, keep it aerated and maintain a relatively low temperature through the night. If you do find yourself waking during the night, keep in mind that a new sleep gate will occur within 40 – 60 minutes. Try to ‘deactivate’ your brain by entering into a monotonous activity – the classic “counting sheep” attitude. Or try focusing on a specific point of a ‘virtual’ picture (often difficult to maintain!). If your mind is racing, feed it with interesting information – without any emotional content, e.g. replay in your mind part of a film or documentary you’ve recently seen, or a book you’ve recently read. We’ve got an exclusive offer with This Works for NHS healthcare staff to get 20% off their fantastic range of products to get a better night’s sleep. Click on the image below.